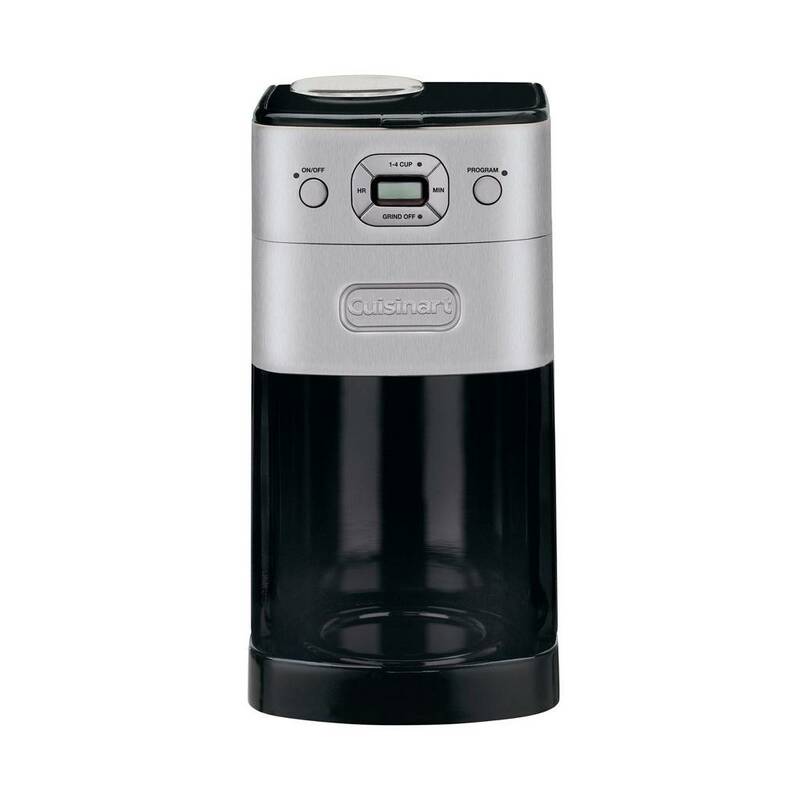 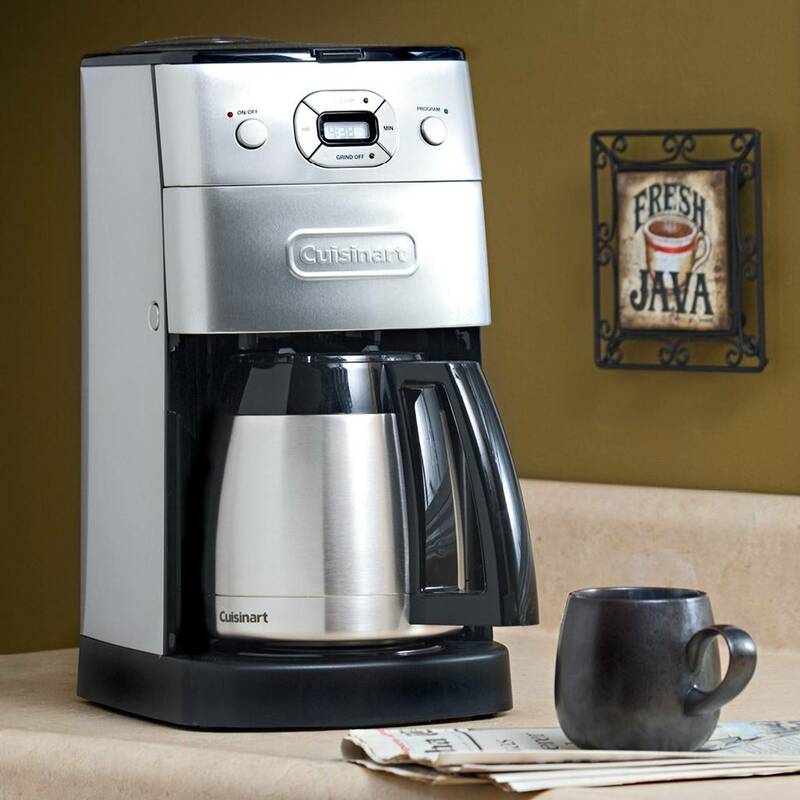 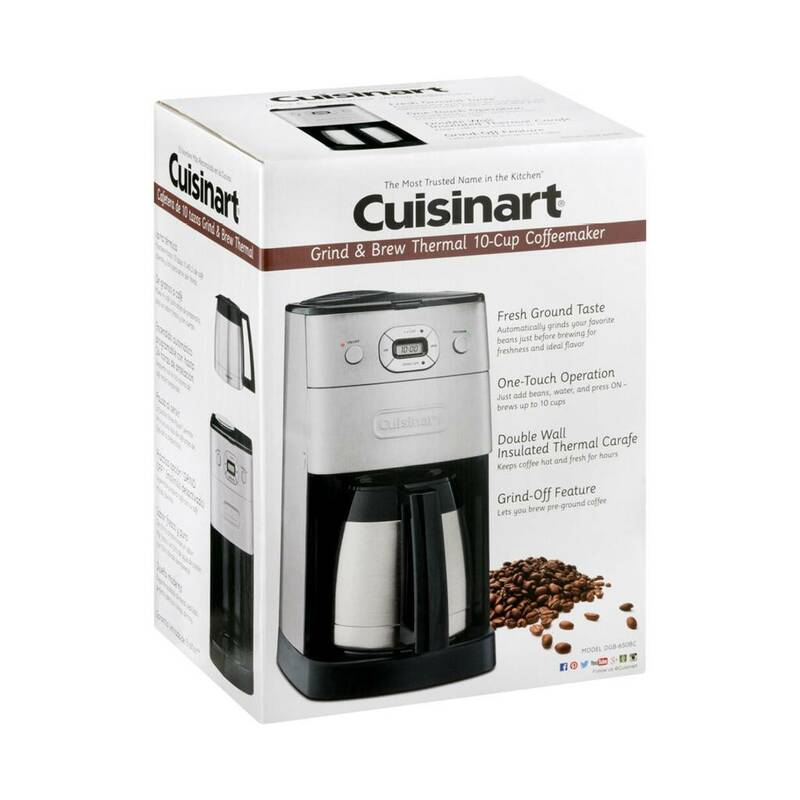 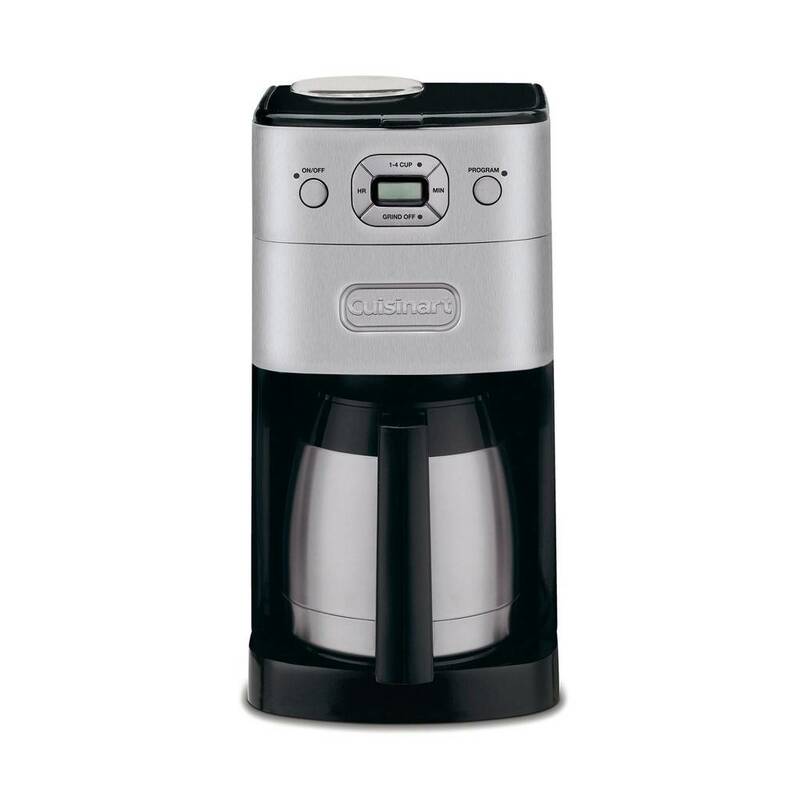 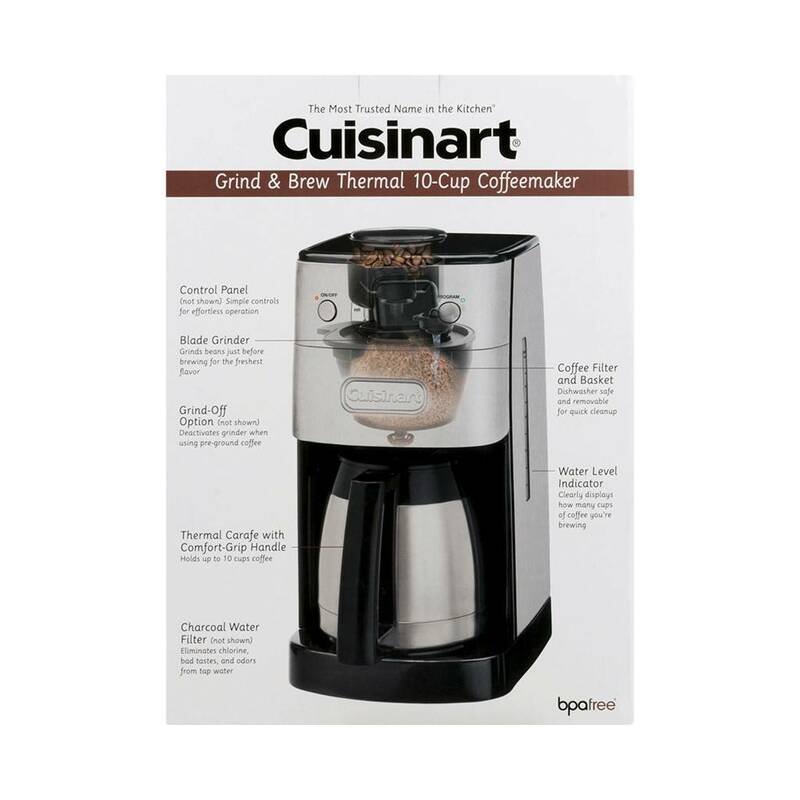 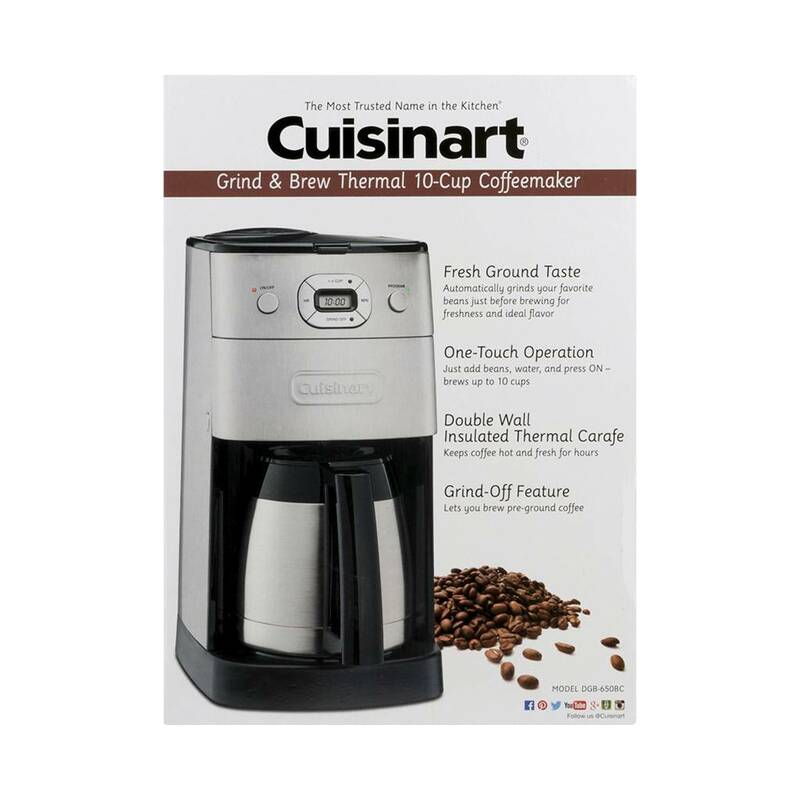 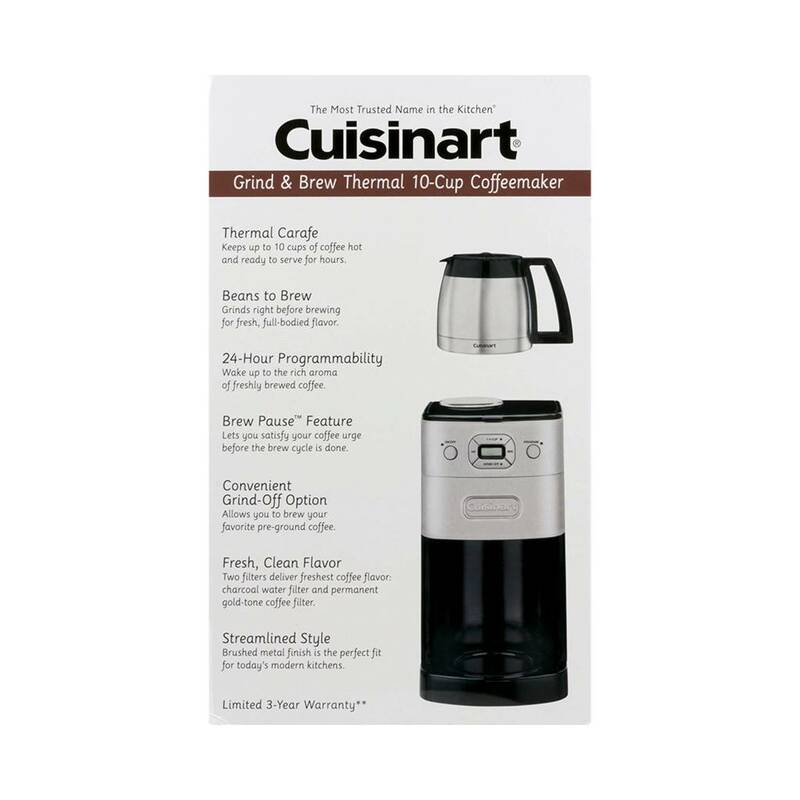 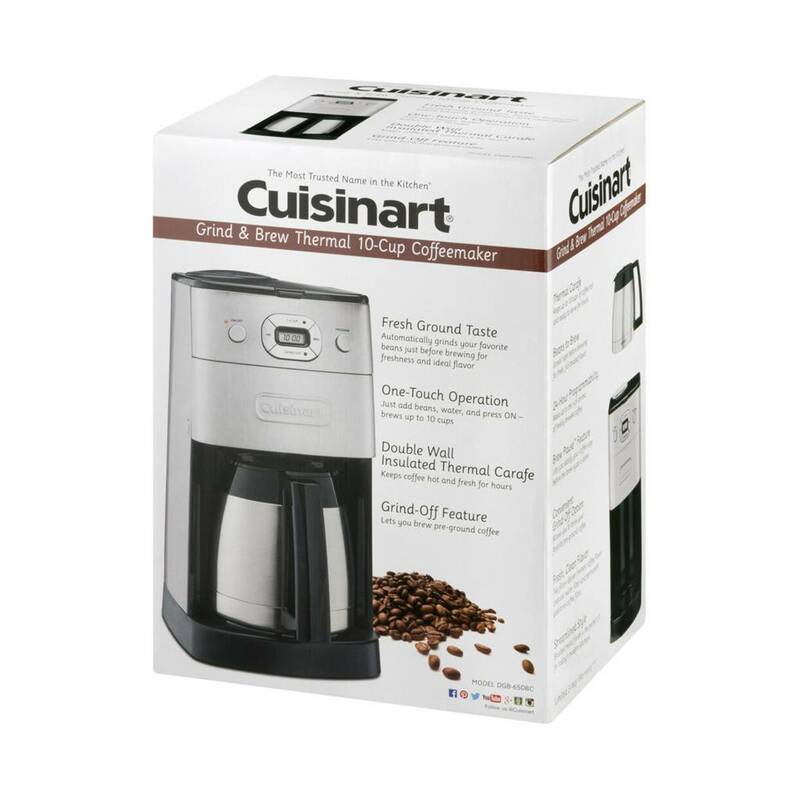 The fastest way to fresh hot coffee is the Cuisinart Grind & Brew™ Thermal 10 Cup Automatic Coffeemaker! This 10 cup coffeemaker automatically grinds the beans just before brewing to deliver the freshest coffee flavour possible while the double-walled thermal stainless steel carafe keeps it piping hot for hours. 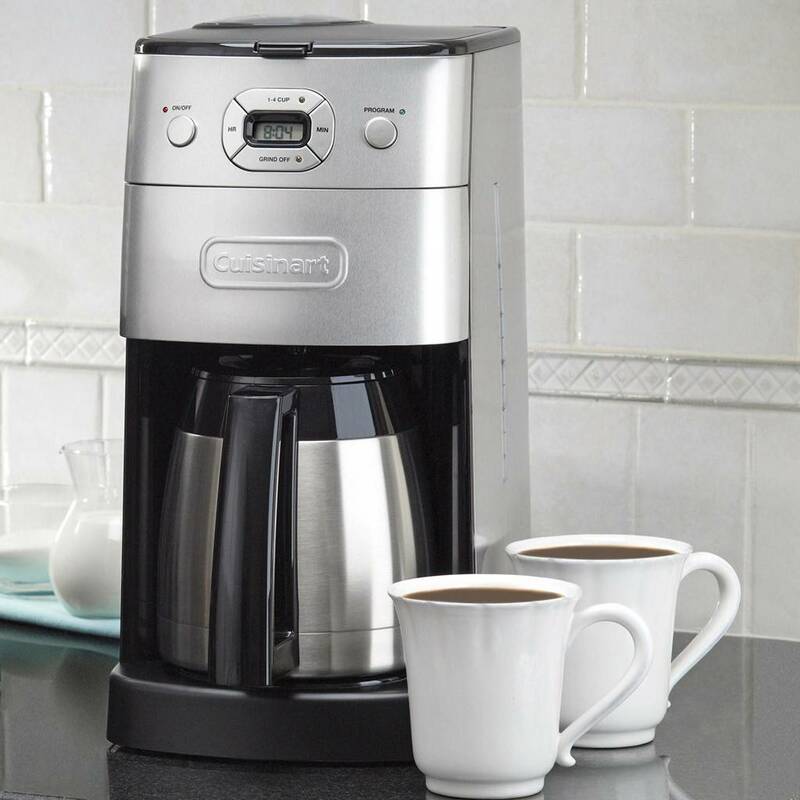 Fully programmable with automatic shutoff and a large control panel, Grind & Brew™ makes it easier than ever to enjoy the freshest coffee at any time of day. 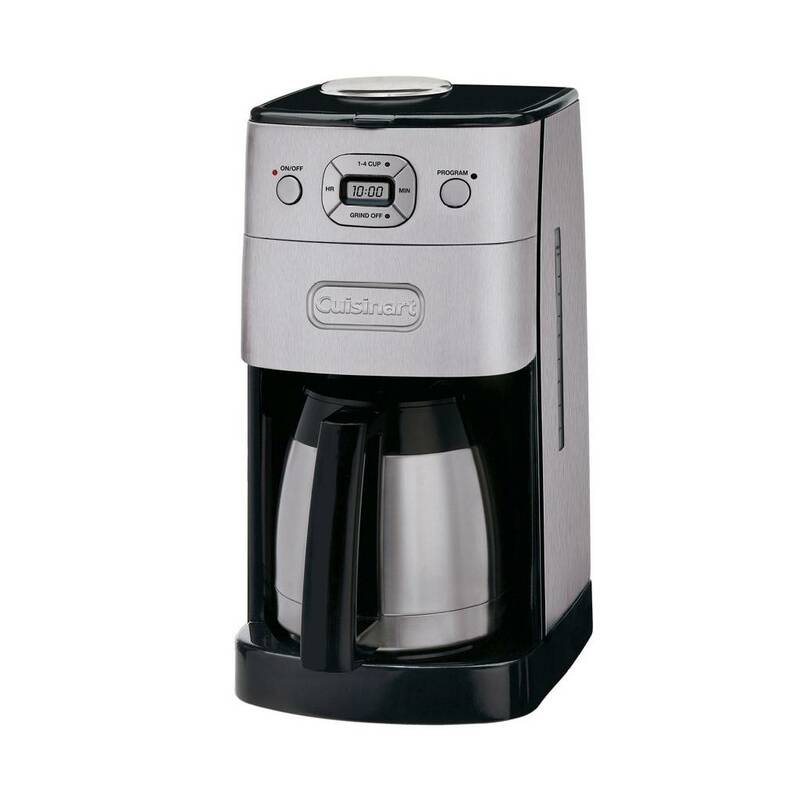 Unit LxWxH: 8.10" x 8.00" x 15.00"
Box LxWxH: 11.80" x 9.75" x 16.50"